Almond paste is a rich almond thick confection used in cakes, cookies and other Italian specialty pastries. It's easy to make however a candy thermometer is a must have to make it right. Remember to use whole blanched almonds as the skins will make it bitter. Nothing but the best ingredients. This recipe makes 3 pounds and well worth the time it takes and don't worry it freezes well for 1 year! Almond paste is used as a filling in pastries. It's made with ground almond and a delicious sweet filling for cookies, cakes and more. I have a whole post dedicated to making your own extracts and even cake flour and Irish Creme! You can check out my tips here check out my ideas on how to make your own recipes like this one. 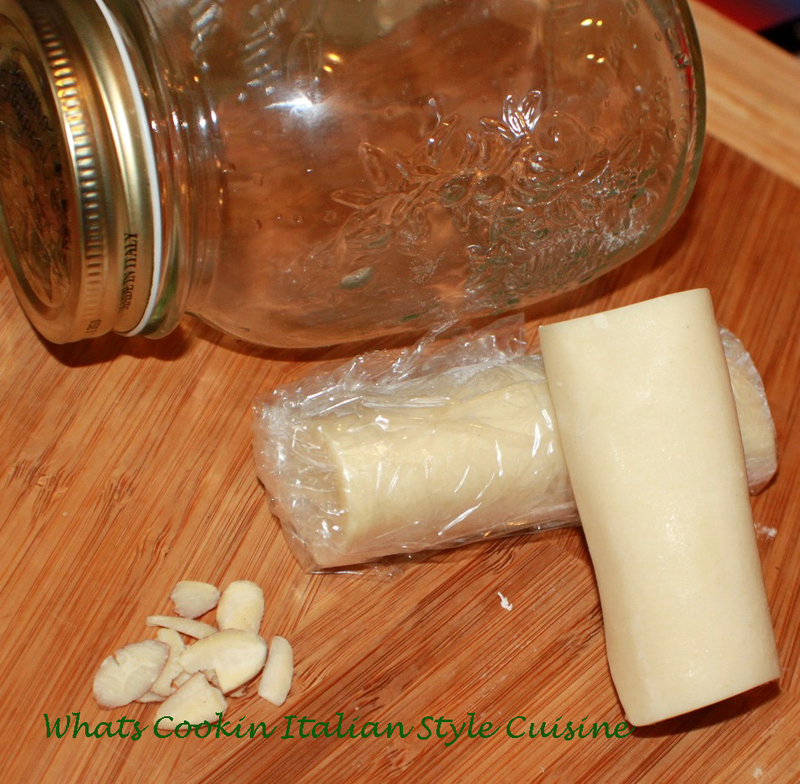 There are some links to follow for the recipes I use it in at the bottom when you scroll down. While they both are made of almonds, marzipan and almond paste are completely different kinds of pastes. Marzipan is smooth, sweet, and often dyed and molded into shapes. Almond paste, however, is coarser, less sweet, and used as an ingredient or filling for baked goods. 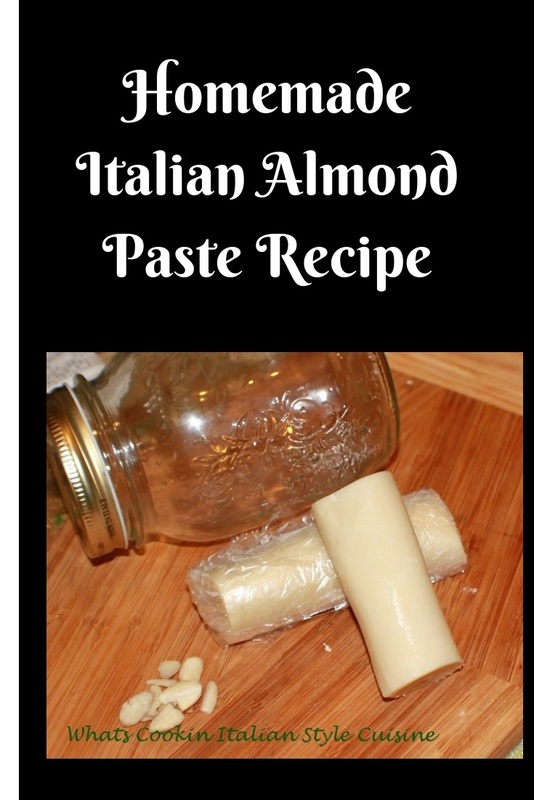 This is economical and almond paste is so easy to make. 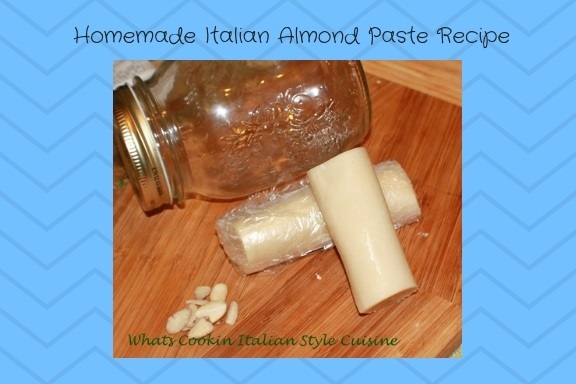 There is nothing to making this almond paste and will save you lots of money in the long run for all your recipe needs. Almond Paste Cookies are my favorite! Process almonds in the food processor until it looks like cornmeal no chunks. Add the almond extract and lemon juice, pulse till combined. Place in a heat safe bowl. Add the sugar and water to a small saucepan and boil till 240 degrees on your candy thermometer. Pour this into your bowl of almond and stir gently together careful it's hot! Cool until easy to touch. Place all of this into a electric mixer bowl that has a dough hook attachment and let the mixer knead this dough for around 4 minutes. Or if you have a big enough food processor place it all back into that for around 30 to 40 seconds. 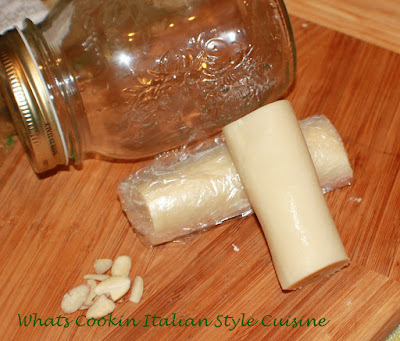 Roll into logs and into storage bags with plastic wrap around it or place in a glass jar with lid and stored in the refrigerator for 1 month. It makes 3 pounds. This will last up to a year making them into logs and vacuum sealing them or freeze them wrapping them twice in plastic wrap then freezer bags. Since there isn't anything in it to spoil you can thaw out on your table until room temperature before using. 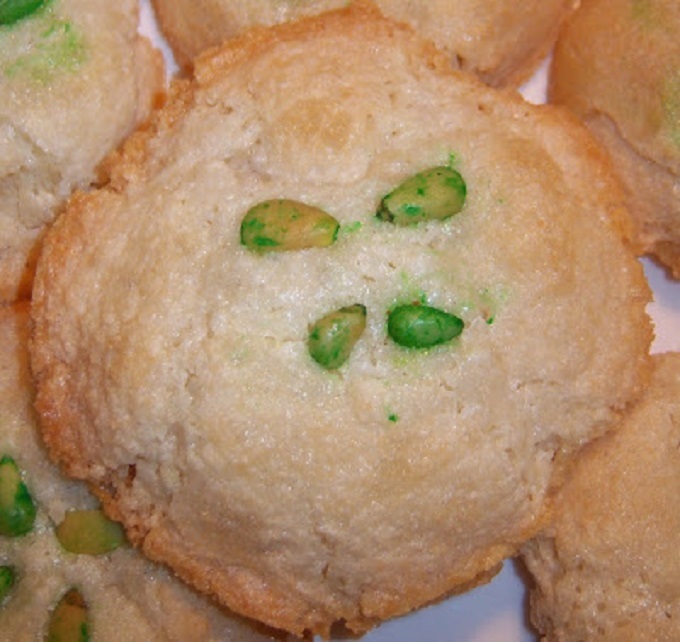 Don't Forget To Try my Favorite Almond Paste Cookies! So - you are amazing. 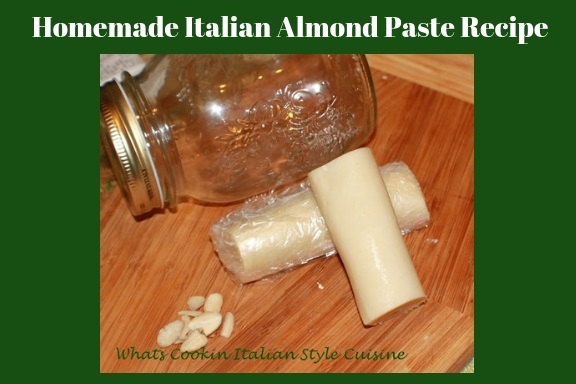 It never would have dawned on me to make my own almond paste. And it's so expensive to buy. Thanks for the nudge. Going to print this out and shared your link in my group The Cookbook Junkies!